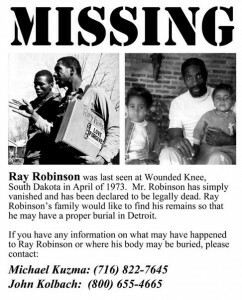 The FBI has finally confirmed that a civil rights activist who disappeared while supporting Native Americans in South Dakota four decades was murdered, the Buffalo News reports. 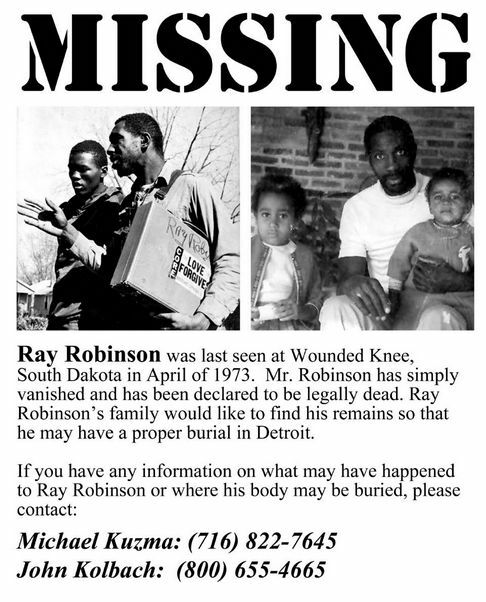 Roy Robinson went missing after arriving at Wounded Knee to support the American Indian Movement’s fight against the federal government. The discovery wasn’t easy for his wife, Cheryl Robinson. Two lawyers were forced to file Freedom of Information Act requests to access the information, which shows the FBI suspected AIM was behind the murder. Posted: 2/18/14 at 9:56 AM under News Story.